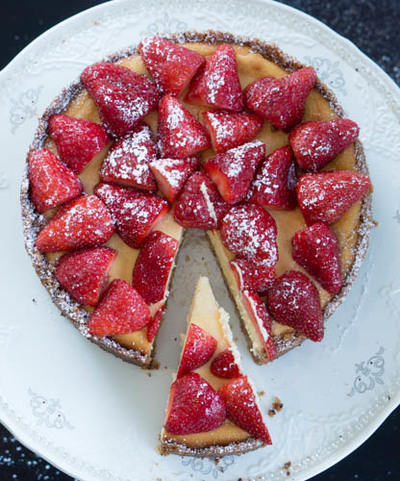 This New York Cheesecake is so delicious and creamy. 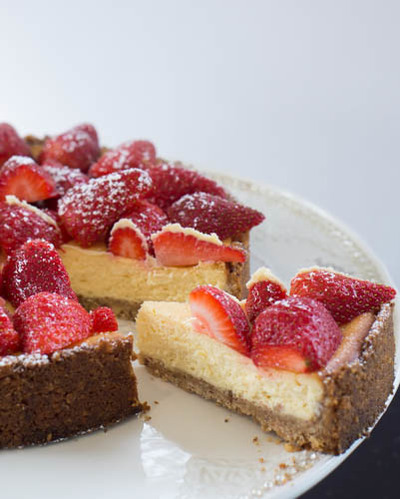 Combined with the sweetness of strawberry jam topping and the crunch of the hazelnut biscuit base, this is a winner and sure to please everyone. It is easy to put together and uses ingredients that are easy to find and affordable. 1 1/2 cup of biscuit crumbs (I used Marie and you could use graham or any sweet plain biscuit). 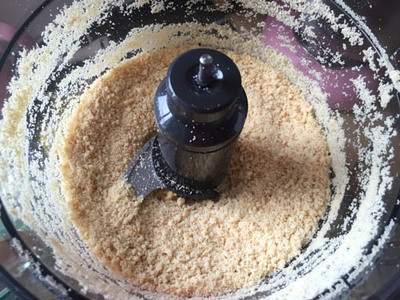 For base: If you don’t already have biscuit crumbs then put a packet of biscuits in the food processor and blitz on high until they resemble crumbs.Add hazelnuts to processor and pulse until fine crumbs. In a bowl, put biscuit and hazelnut crumbs and add sugar, melted butter and cinnamon until mixture is moist. Using the bottom of a glass, press mixture in to the bottom and sides of a spring-form round tin. Bake for 15 mins and leave to cool completely. 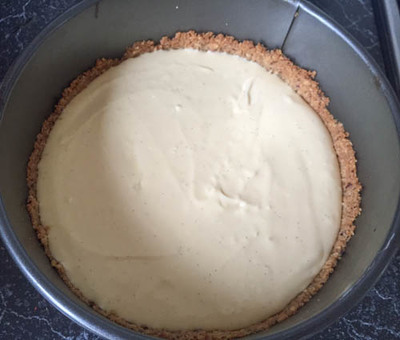 For filling: Beat cream cheese for a few minutes until smooth. Stopping to scrape sides of bowl. Gradually add sugar and beat until smooth. Add eggs one at a time, beating well after each addition and scraping bowl to ensure all mixture is combined. 3. Add sour cream, zest, lemon juice and extract and combine. Pour filling in to base and bake for 1 hour. 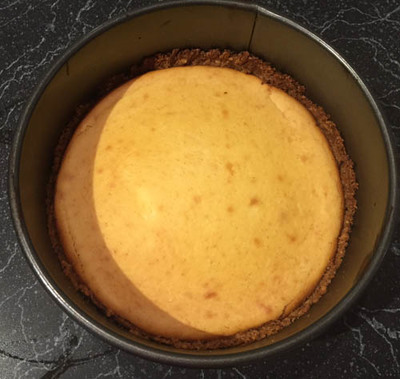 When cooked, cheesecake will still have a little wobble. Don’t overbake. Leave to cool completely in tin and refrigerate overnight or for three hours.